For about a quarter of the population in Peru the main source of income is agriculture, yet less than 20% is usable for agricultural purposes. The Peruvian governments have over the past two decades made many steps to promote agricultural production aiming to move away from being a net food importer. In this effort, it created the Olmos Irrigation Project in the northern part Peru. The project has been transforming desert into fertile lands through its irrigation works. This led to the possibility to produce additional food, increase economic development and opportunities as well as improvements in the standard of living for the people in the Lambayeque region. For more than 50 years, the Paredes family has been active entrepreneurs in Peru. Through their company, Pampa Baja, they produce dairy and a wide variety of produce. They have two locations: one of 1,100 hectares in Olmos, Northern Peru and one in Majes in the Southern Peru of 1,200 hectares. The company also operates one of the largest dairy farms in the country, which greatly compliments its agricultural activities. The irrigation works of the Olmos Irrigation Project were completed in November 2014. Since then Pampa Baja was able to develop their land in Olmos into fertile soils generate additional substantial employment opportunities for the local community with 500 permanent and 1200 seasonal jobs. Pampa Baja has developed steadily over the years to meet the ever-increasing requirements for high quality products, which are produced in an environmentally safe manner. Their agricultural lands are professionally managed using top of the line technology at all stages. The company has been GLOBALGAP certified for their export products since 2005 whose 3 pillars are: I) social responsibility, II) product safety and III) environmental sustainability. Pampa Baja has additional certifications in place covering land, environmental, food & safety, processing, security and monitoring aspects of its business activities. 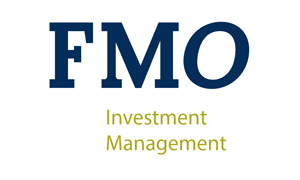 In 2016, Pampa Baja signed a USD 15 million loan with FMO. The loan is used for land preparation, irrigation systems, plant and equipment (including cooling & packaging facilities). In 2018 a new loan was contracted to extend the tenor of the facility of 2016 by refinancing, as well as to provide working capital.